If you were looking for some warmer weather to head towards Michigan, it looks like you will be waiting longer. Based on the weather data we are seeing right now, a blast of cold air along with snow is aimed right for the mitten. 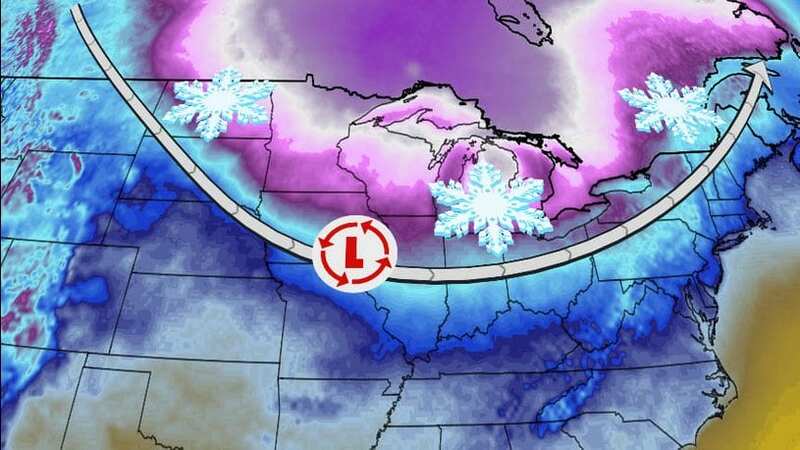 If cold air was not enough, Weather.com reported that a series of Alberta clippers systems will sweep through the northern Midwest bringing snow. If you do not know what an Alberta Clipper is, you can find out more on Wikipedia. Photo Credit: Weather.com Click for more information. Cold weather can be very tough on cars and other machinery so you may want to be sure you are prepared for the worst. Dave Brooks, Parts Director and operator of Lasco Auto Parts said, “This is the time of year we sell the most batteries hands down. Many people wait too long and get stuck in the cold. We recommend doing a simple test now at your local dealership.” Dave stated that his stores Lasco Ford & Grand Blanc Mitsubishi offer FREE batter tests to any customer just by pulling into their service lane and also run special pricing during the winter months. Bundle up and stay warm out there!